Self Contained Compactors are available in many standard sizes that can also be configured to meet your specific needs. By choosing from a large selection of standard options (such as various hopper styles, multi-cycle timers, remote stations and many others) you can tailor a compactor for your circumstances. 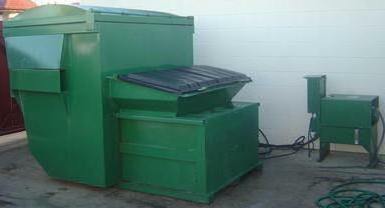 Self Contained Compactors are built for applications that require storage and removal of wet waste. Outdoor compactors such as these can help prevent contamination of work areas as well as public areas. Like other compactors, the benefits of Self Contained Compactors are numerous. 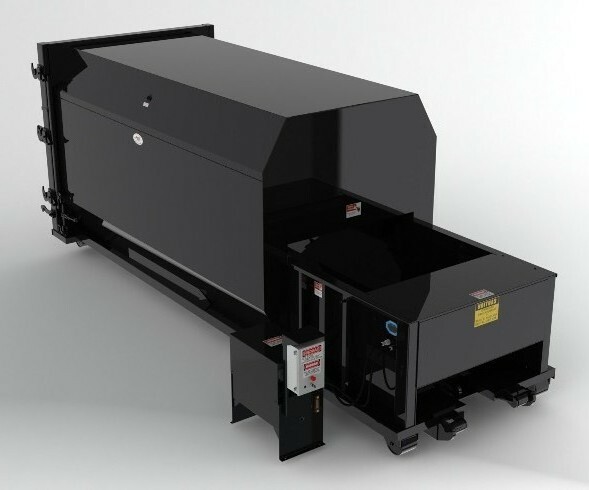 Unlike Stationary Compactors, the Self Contained Compactor is designed so that the compactor is attached to the container and the entire machine is hauled to the disposal site. In addition to substantially reducing labor and collection costs, the compactors can also help discourage scavengers, reduce insect and rodent problems, control odor, reduce fire hazards, prevent overflowing dumpsters and much more. WasteCare's objective is to provide our customers with the overall best value. Ease of adapting chute hoppers, ground feed hoppers and other special requirements.